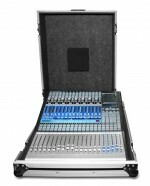 When it comes to Mixer cases we’ve got you covered.We make some of the finest, high quality ATA Road Cases in the Industry. We stock cases for all the most popular DJ and Pro Audio mixers on the market today including: Pioneer, Numark, Mackie, Yamaha, Behringer, Presonus, Allen and Heath more! 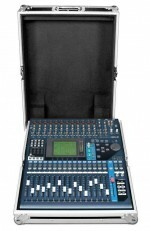 Hand crafted with care our mixer cases feature rugged Road Ready features like Beefy, industrial ball corners, hardware and recessed handles, cable ports and rugged laminated plywood construction. All our cases have to pass a rigorous 3 step QC check before they can be called Road Ready. 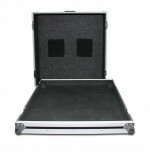 Crafting quality Road cases built for the rigors of the road; that’s what we do best.